How Much Would You Pay For Single-Player or Multiplayer? 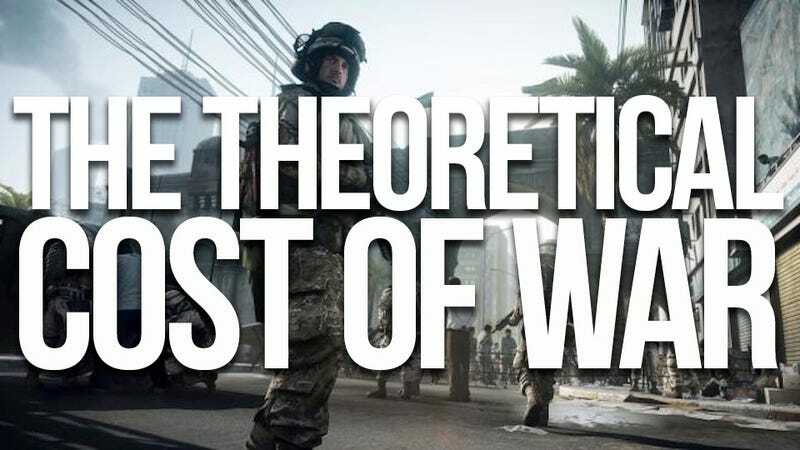 Modern Warfare 3 and Battlefield 3 are two of the most hyped video games of this fall season. The people who buy them—and who will enjoy them—may only play half of them. Yet they pay full price. The buzz for these games is on their multiplayer, their presentation of virtual war as the most fun and popular online game this side of poker. Their single-player? Plenty of gamers ignore it. Others just play solo and never play multi, yet publishers EA and Activision make and sell those halves as part of single games and charge full price. But there's an experiment going on, it seems. EA, last night, said it would now sell its early-2011 boxing game, Fight Night Champion in parts, digitally. They are selling the whole thing for $30 but will charge just $5 for single-player and $10 more for a basic online mode. We don't know how or why EA is testing this out, but it brings up a pair of questions, questions for you to answer, because, really, is this about a boxing game? Or could it some day be about something else?